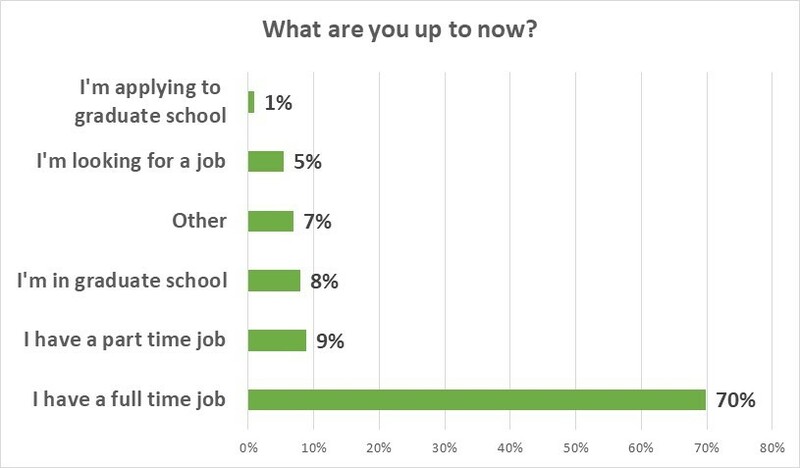 Last week we asked y’all to take a quick survey and let us know where you’re at in your post college adventure. We love learning more about your adventures. 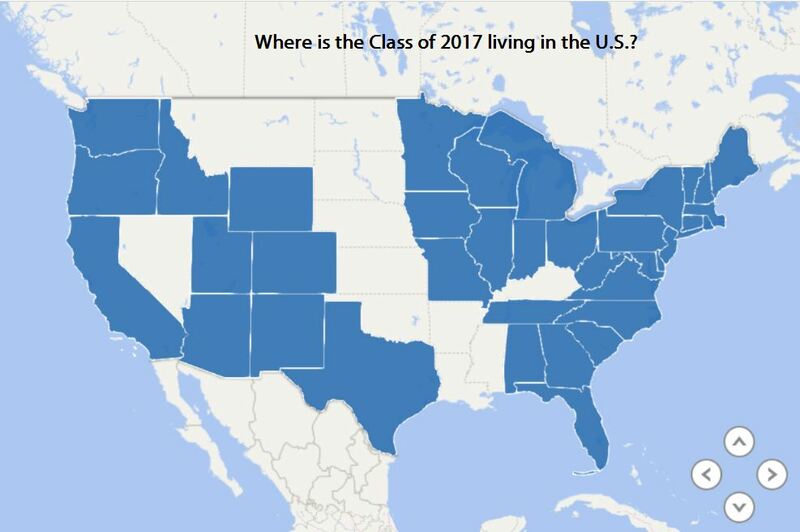 So, let’s find out what you and your classmates are doing, and how many people are in the same spot that you are! 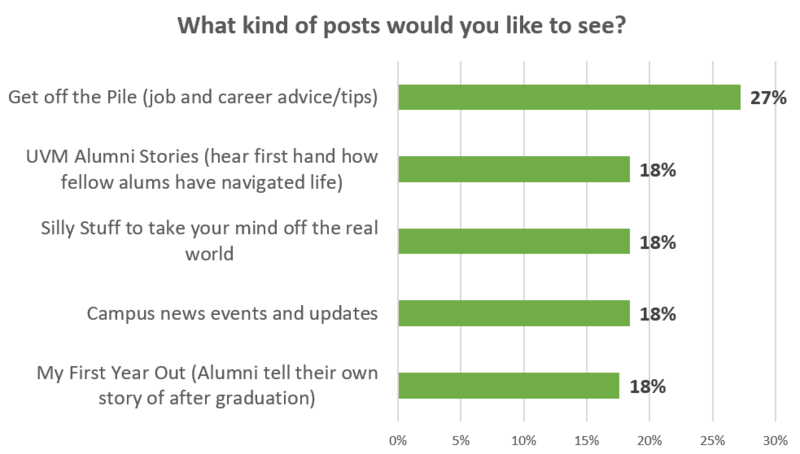 Looks like you all want diverse subjects covered here on the blog – and we’re excited to bring that to you each week! 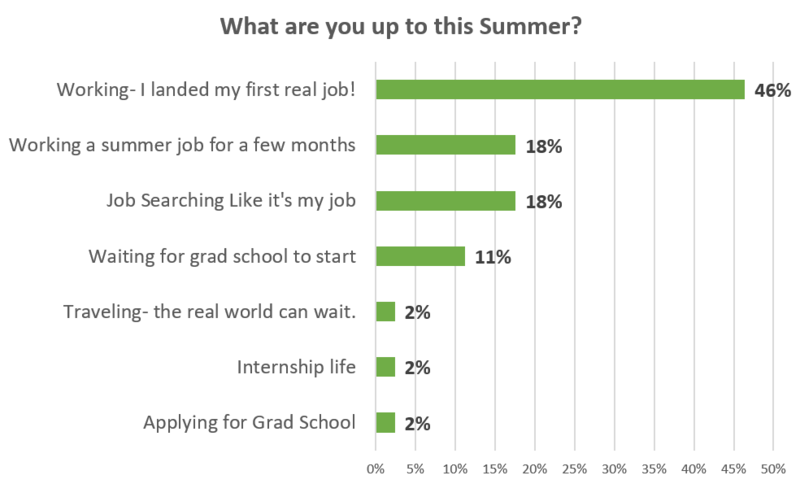 It’s awesome that so many of you have landed a new job already, and we’ll be sharing career advice and stories throughout the year on a variety of topics. 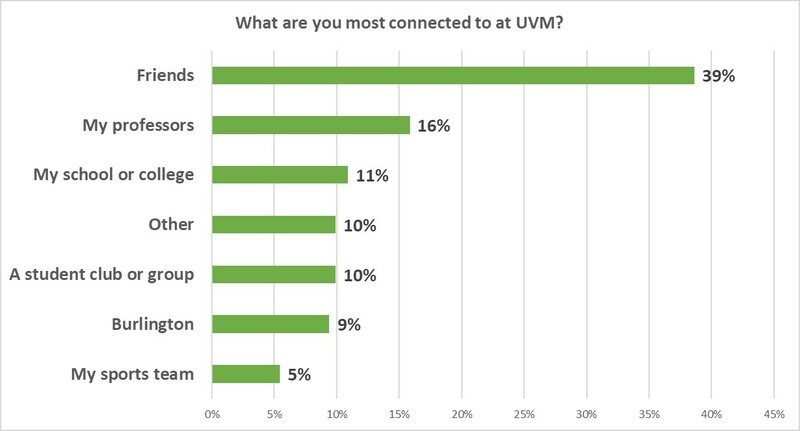 Understandably, the relationships and connections made here at UVM are most important to you guys. That’s why we’ll try to tell as many stories as possible featuring your classmates! We’ll keep you posted of any events are coming up, to keep those UVM connections alive! 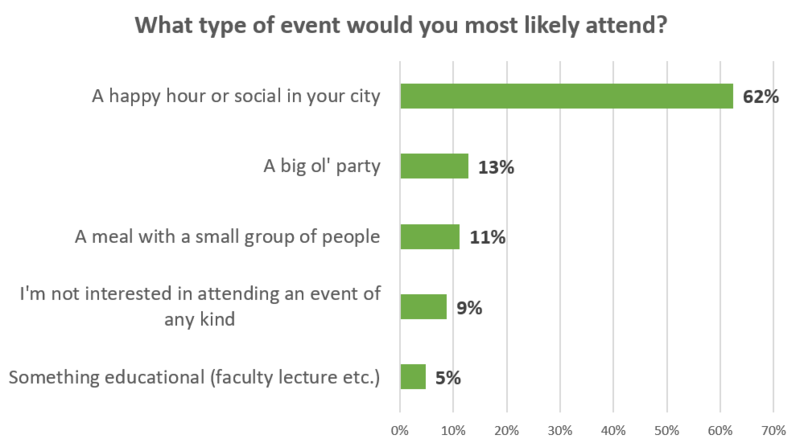 For example, we’ll be throwing a party for you in early October, during Alumni Weekend, so stay tuned for the details. 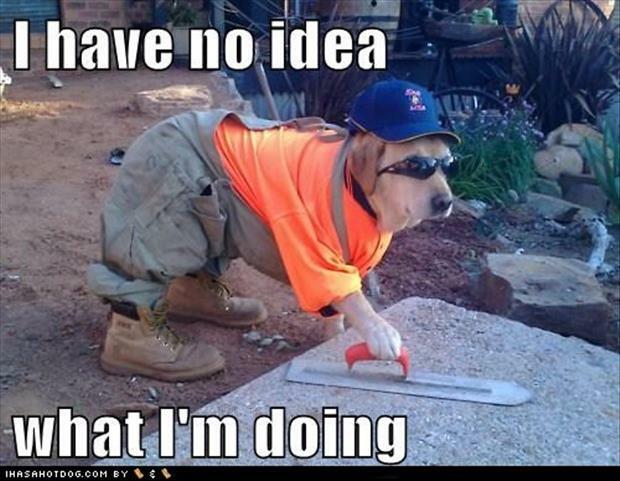 Y’all also submitted some awesomely hilarious stories about your first day at a new job – and we’re compiling them for next week’s post, so stay tuned! It’s going to be a good one. Once again, thanks for engaging with us! If you’re looking for a way to get more involved, we’re looking for some VIPs to help advise us on content and share feedback! See you next week for some awesome stories about new jobs, new cities, and some relatable content. Surprise! It’s almost been one year since your graduation and we wanted to celebrate with a gift! Yes, grad-a-versary isn’t a real word, but it is a real celebration we invented just for you. To commemorate your one year grad-a-versary, a talented artist designed a one-of-a-kind free UVM art print for you! But, you know us – it’s not enough just to give you an awesome print. We want to tell you the story of that print. So, we documented the artistic process. A few weeks back we put a call out to all local Burlington artists and wanted to share the footage we captured. Enjoy the video and order your print today! Eat UVM, a Vermont Themed Giveaway! 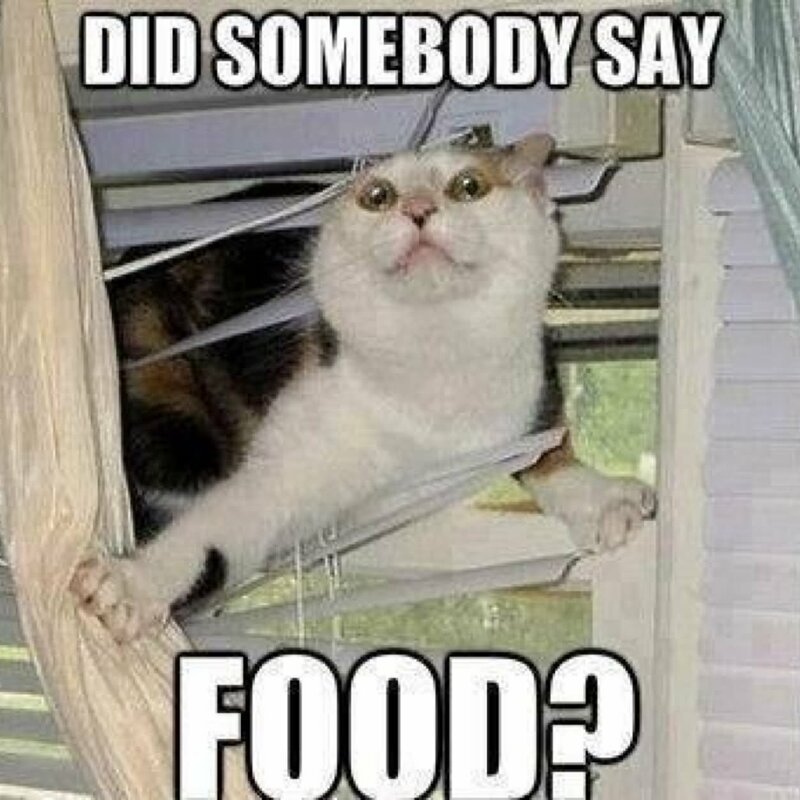 So, in case you guys didn’t know, here at Afterword, we are very food motivated. And we wanted to share some of our favorite local snacks and treats, with our favorite readers – you all! It turns out a lot of the local Vermont products are also directly connected to UVM alums! Our alumni are a productive bunch, and we wanted to highlight a few of the things that they’re crafting for us to eat (or drink). To make this week even more special, we’re doing a giveaway just for you! Everything in the picture above is produced in Vermont, and most of them are UVM Alumni owned companies! So, read on for more about these products, and enter to win a Vermont Care Package! Do you watch Shark Tank? If you do, you might have seen SAP! on the most recent episode. 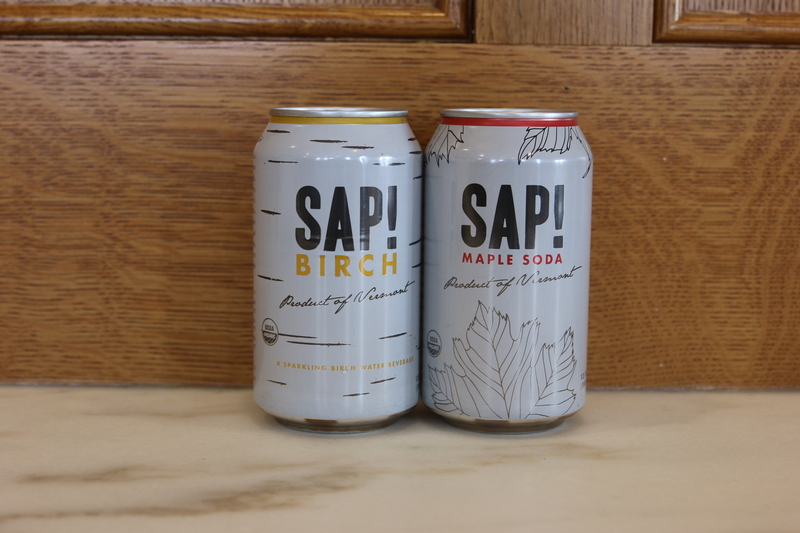 They’re an alumni owned maple soda company – and they also make Maple Seltzer, as well as Birch Seltzer! 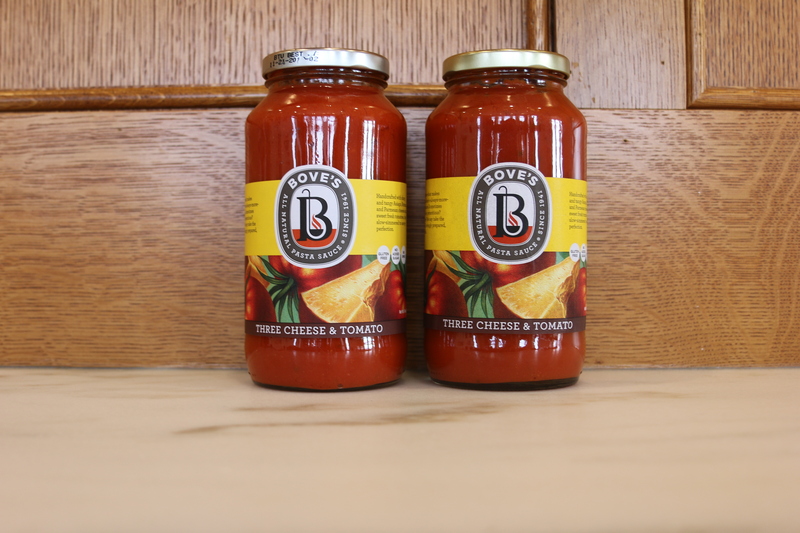 We were all sad to say goodbye to the one and only Bove’s restaurant, home of the most amazing lasagna this side of the Green Mountains, but their amazing sauce is still being produced, and their family business is still going strong! 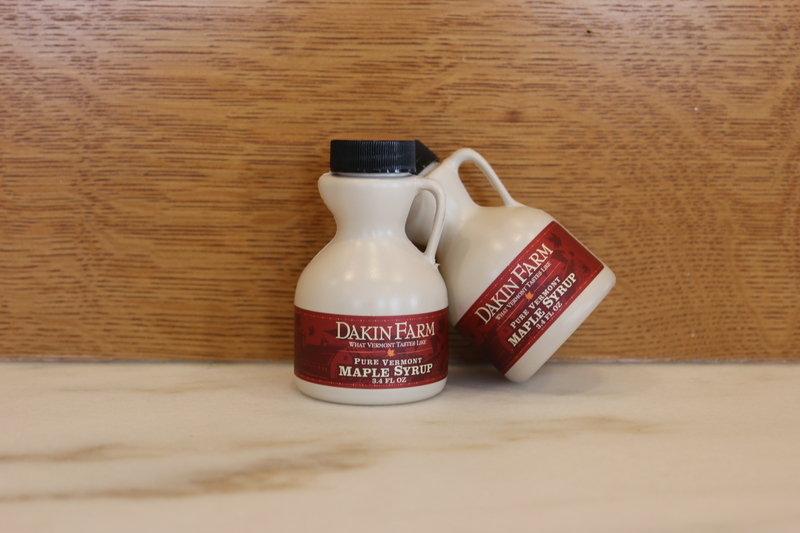 Have you heard of Dakin Farms? We love their products, and they’re another UVM Alumni run business! 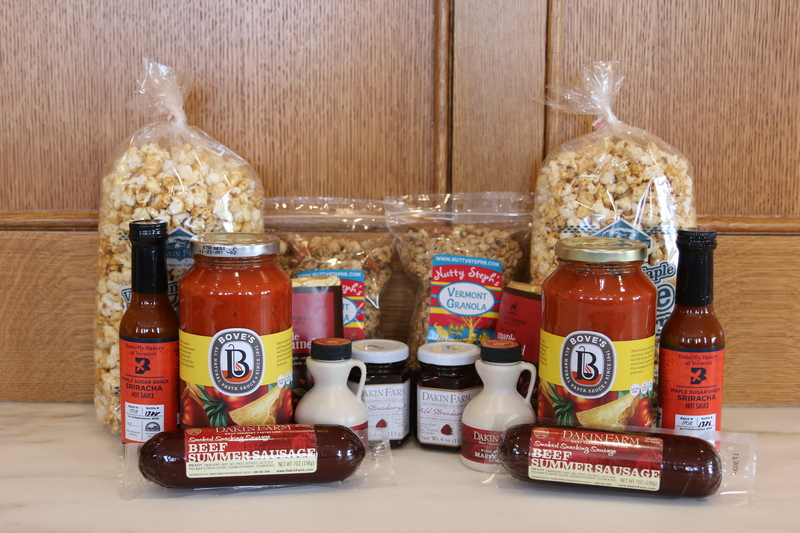 Some favorites include the Summer Sausage, Strawberry Jam, Maple Syrup (of course) and, Maple Popcorn! 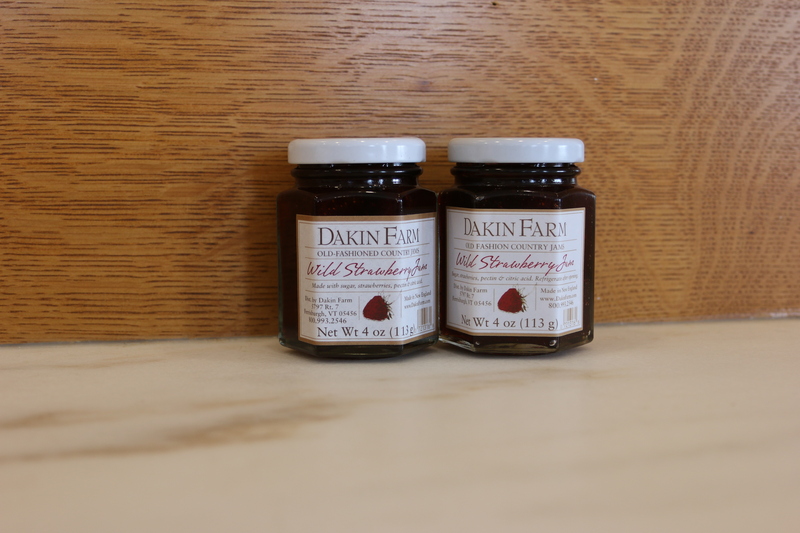 All of those Dakin Farm products are included in the giveaway care package! Feelin’ parched? Another UVM Alumni product is here to help. 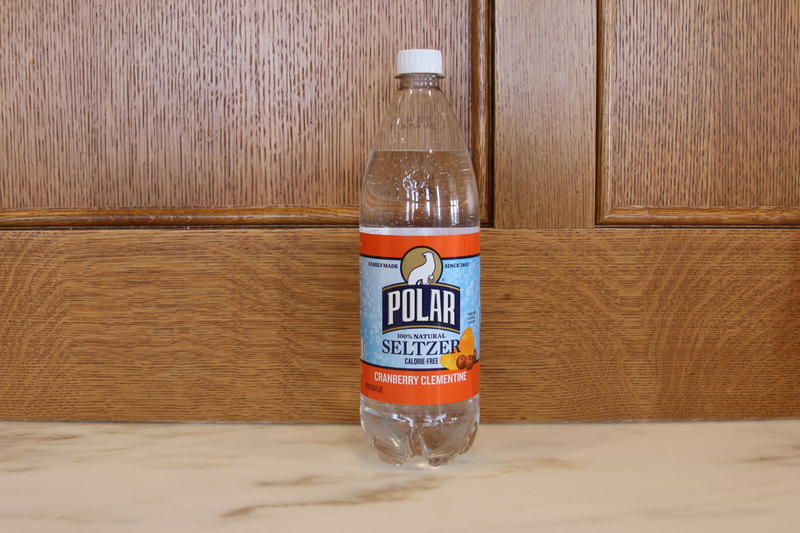 That’s right, your favorite seltzer, Polar, is one of ours too! (Ryan recommends the Cranberry Clementine). We love when Alumni decide to grow their businesses right here in Burlington, and we especially love dropping in to My Little Cupcake for a treat every now and then. 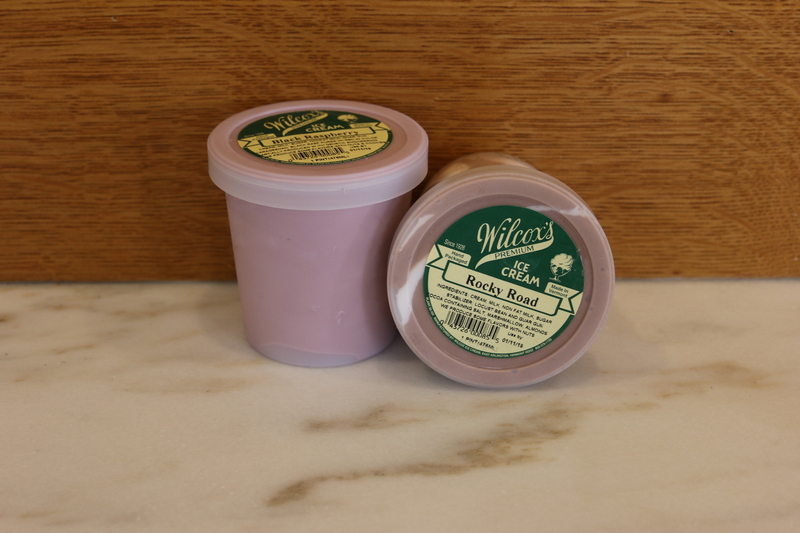 Speaking of sweet treats, did you know that Wilcox Ice Cream is an Alumni Product? 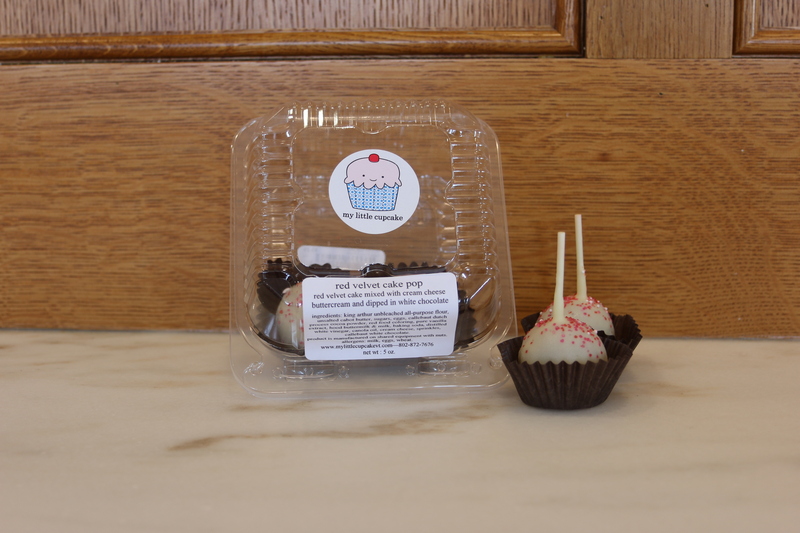 They have all your favorite flavors, including Black Raspberry, Rum Raisin, and Rocky Road! We couldn’t get through this post without mentioning some Vermont Cheese. 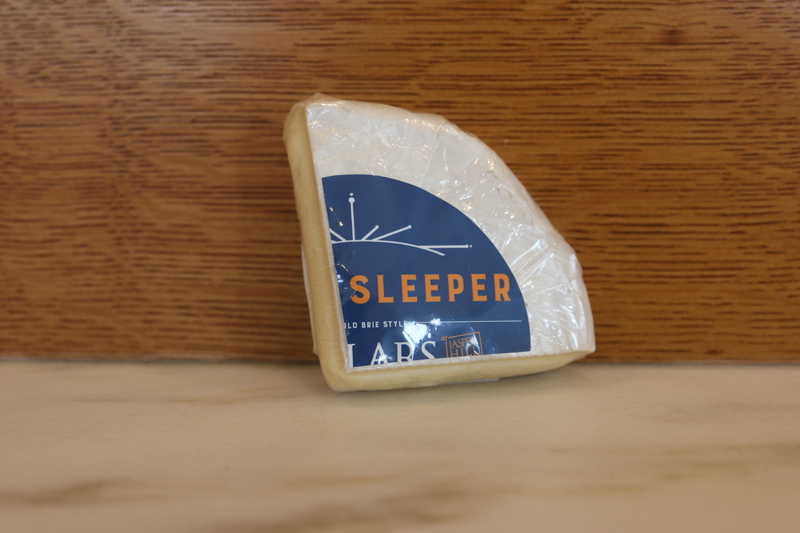 Even though we won’t be able to ship it to you, we wanted to mention Jasper Hill Farms Moses Sleeper – an amazing soft cheese, just one of the many more they produce in Greensboro Bend VT! 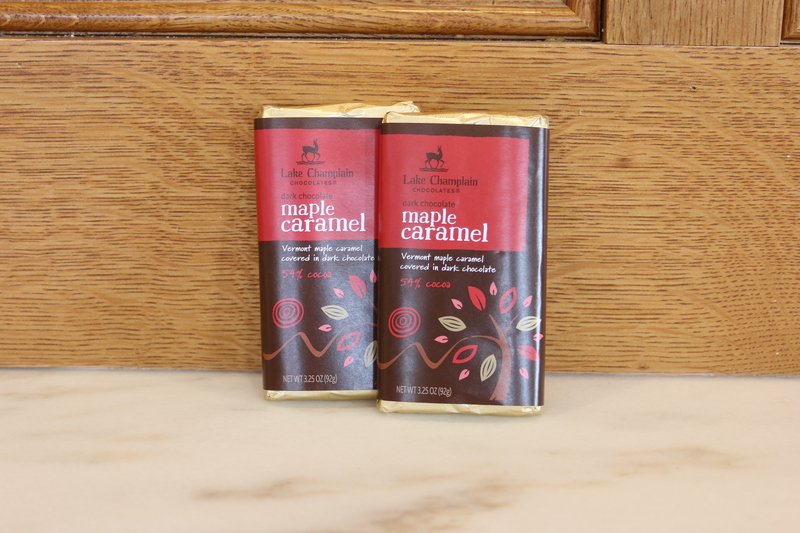 Lake Champlain Chocolates is another favorite, especially their hot chocolate on a cold day down on Church Street! 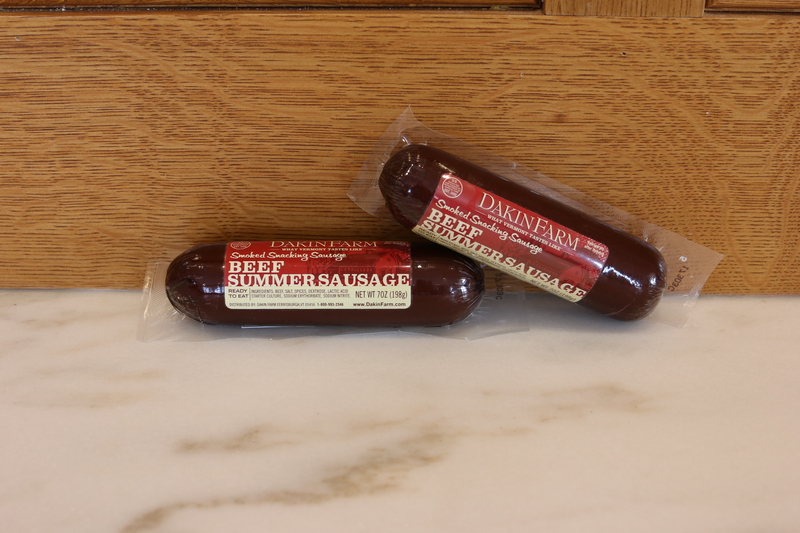 Did you know that all of the products we’ve mentioned so far are crafted by UVM Alumni? 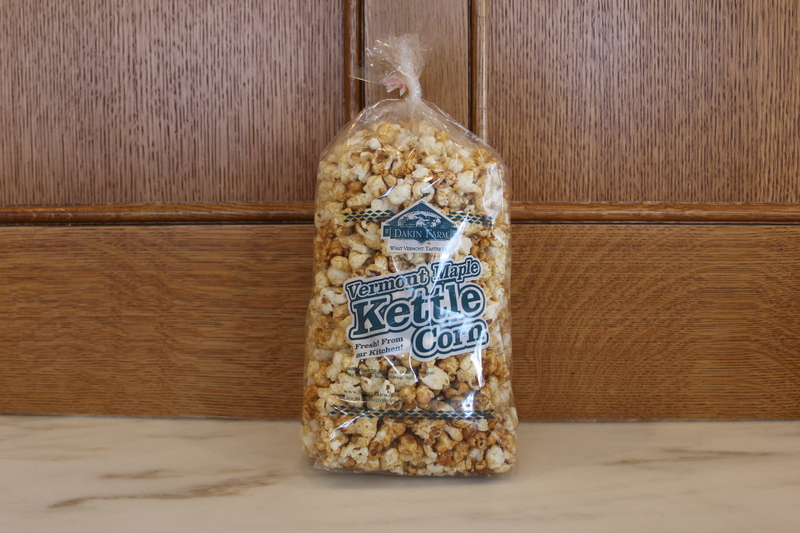 But wait, there are a few more that are simply made in Vermont, that we just had to share, because we like our local stuff. Here are a few more Vermont products that will be included in the giveaway! Butterfly Bakery of Vermont makes lots of things: cookies, mustard, granola, and hot sauces! They use all locally grown peppers, and partner directly with farmers near them! 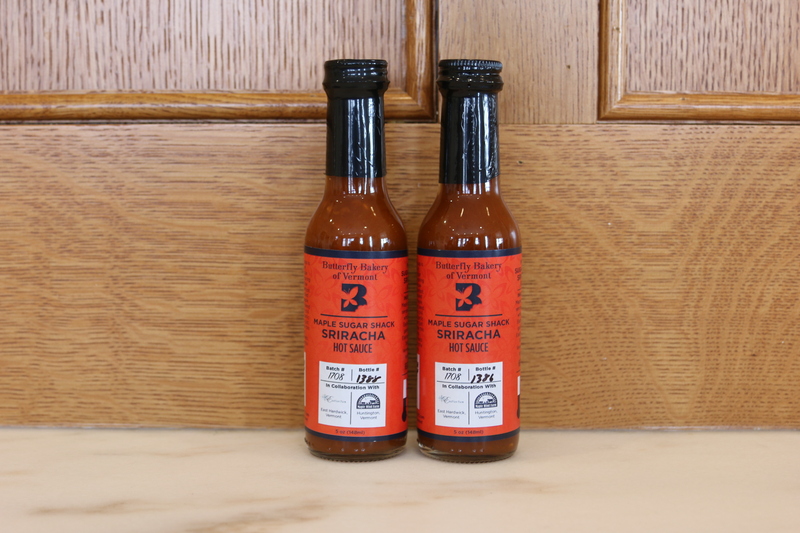 We selected the Maple Sugar Shack Sriracha, but they also have a Heady Topper Hot Sauce! Have you heard of Nutty Steph’s? They make amazing granola (including a gluten free option), chocolate confections, trail mix, and baking products! 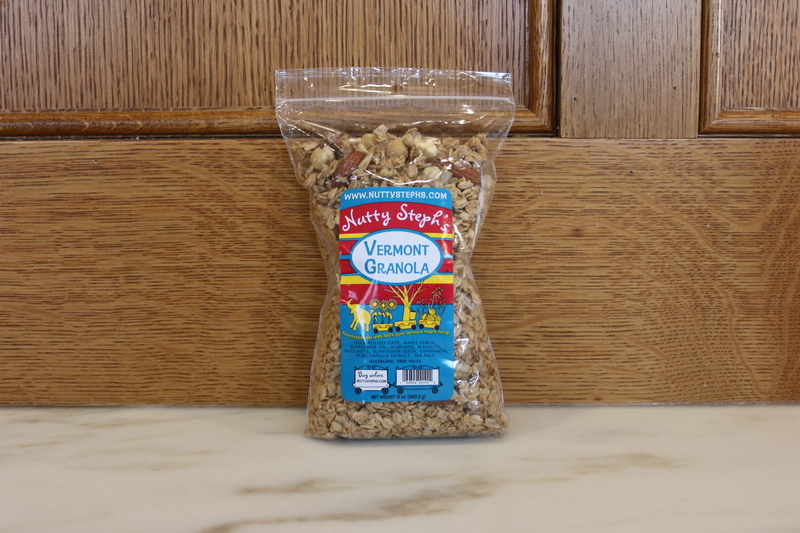 They’ve been one of Kathryn’s personal favorites, and are a Vermont based company. Want to win some of these amazing snacks? Click through to enter the giveaway, and two lucky winners will receive a Vermont Care Package, directly from us!